Like many Singaporeans, I love cheap and good food. And this is why I brave the JB customs’ queues, which can sometimes mean a two-hour wait. 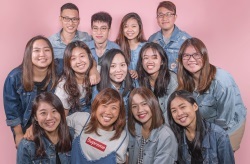 Besides City Square Mall, which is located right beside the customs, KSL City is a popular mall that many visit to shop and eat at. 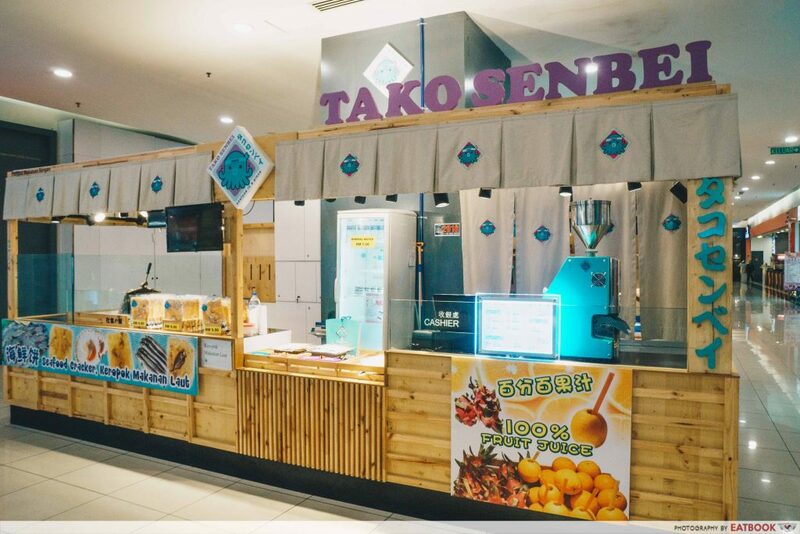 Here is a list of must-try food stalls at KSL City I’ve compiled during my trip there to help you decide what to eat when you’re there! 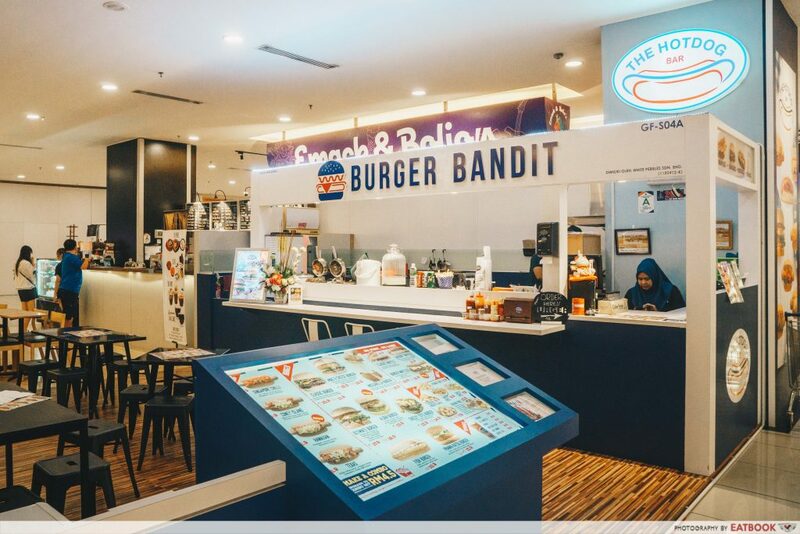 It is almost impossible to miss out Burger Bandit by The Hotdog Bar with their cute hotdog signboard in neon colours. They occupy a small space with a few simple black tables and chairs. It may get slightly crowded during meal times, but fret not as the staff members are quick on their feet! Their huge range of burgers and hot dogs made it difficult for me to choose. Eventually I settled on their Mozzarella Burger, which costs RM14.90 (~S$5.10) for a beef patty and RM13.90 (~S$4.70) for a chicken patty. The burger looked simple, with two buns kiaping tomato, lettuce, and a patty together. 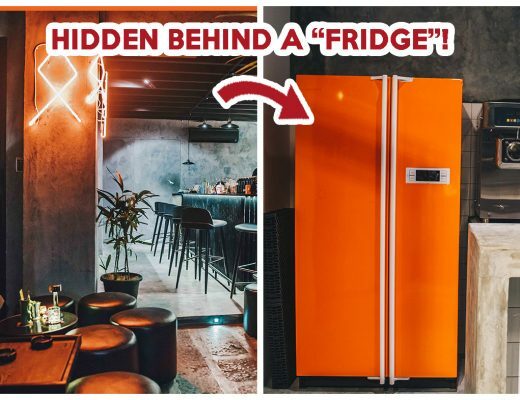 However, a surprise is waiting. 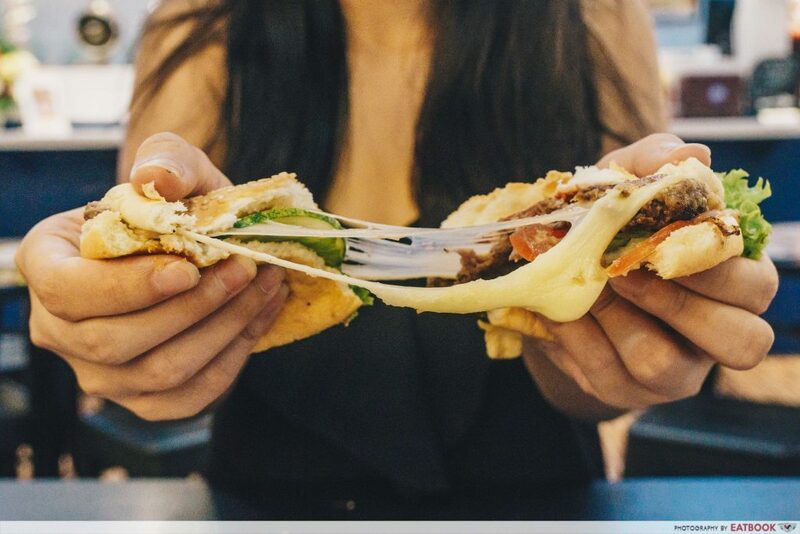 Tear the burger apart and you’ll see mozzarella oozing out from the patty, creating an opportunity for a #cheesepull shot. A tangy tomato-based sauce was spread all over the patty, cutting through the creaminess of the mozzarella. 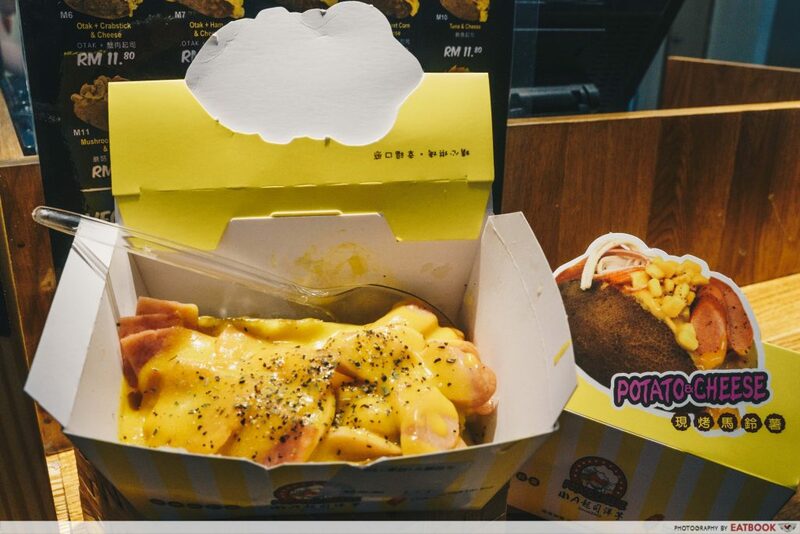 They also dish out Mac & Cheese Burgers at RM15.80 (~S$5.40) each and hot dogs from RM9.90 (~S$3.40). 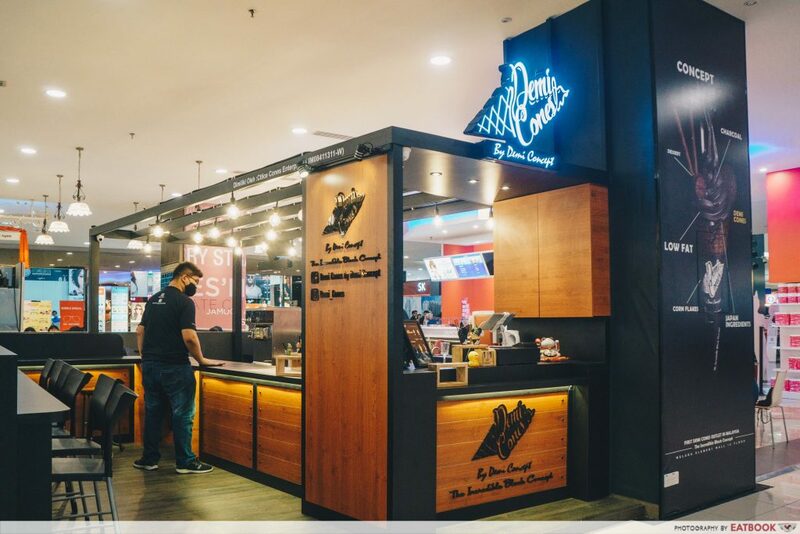 Devil Chicken Chop is a small booth at the basement of KSL City. Just look out for the dark green stall that stands out! If you are lucky, you may get a seat right next to it. 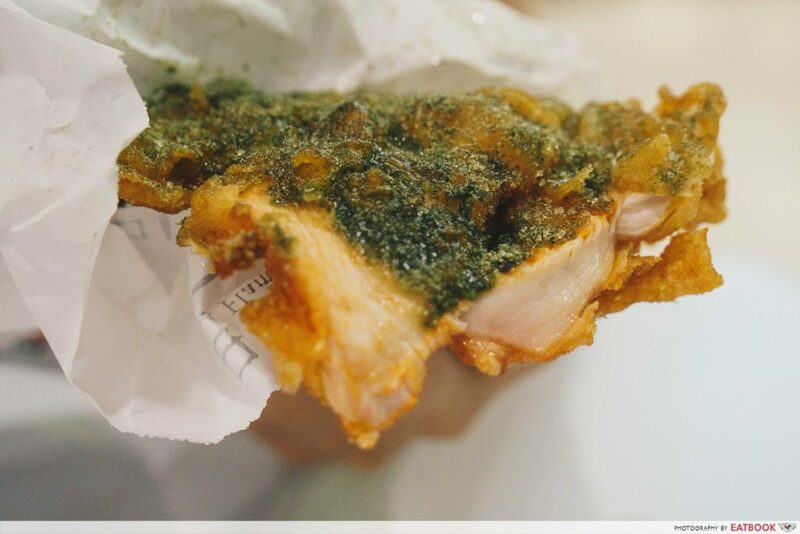 With eight different seasonings available, I was having difficulty choosing which one to get until I laid my eyes on the Matcha Devil Chicken Steak at RM9.90 (~S$3.40). The meat-to-batter ratio was #onpoint and the golden brown batter produced a crackling. Though the meat was greasy, the aromatic matcha powder was able to cut through the jelakness. Other interesting flavours include wasabi, sour plum, and cheese, all at the same price. 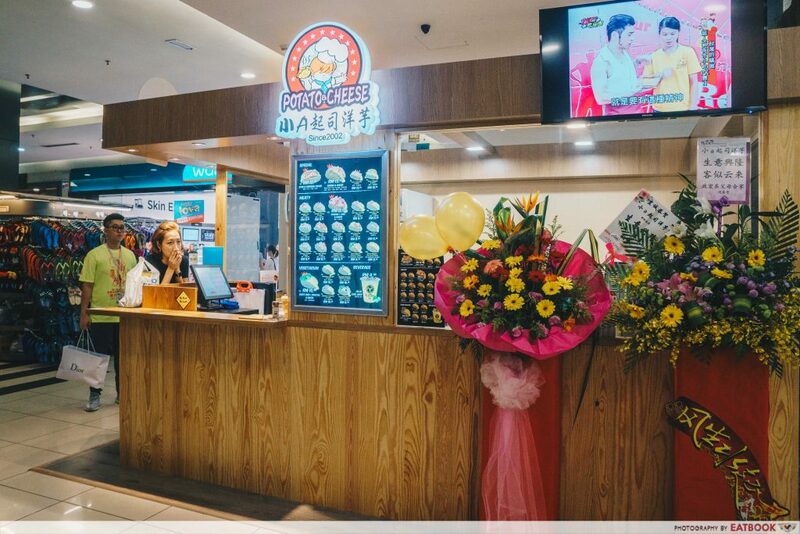 Hailing from Taiwan, Potato Cheese opened its door just days before we visited KSL City. #Blessup. There are no seats at this stall, so just walk and eat it like how you would at a night market in Taiwan. I chose their Sausage + Ham & Cheese (RM11.80/~S$4), the same flavour I got when I was in Taiwan. The baked potato was brimming with ingredients and topped with a generous amount of cheese. Another flavour to try would be their Otak & Cheddar Cheese (RM12.50/~S$4.25). 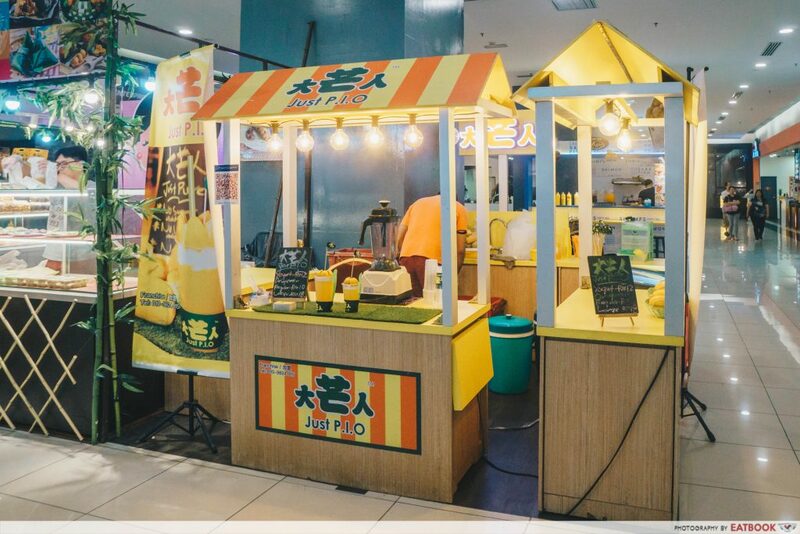 When I saw Just P.I.O, a brightly lit stall that only sells mango smoothies, I got excited. The last time I had a mango smoothie like this, I was in Thailand and I loved it. The large drink may get a bit messy to have on the go, so just settle down at one of the two tables in front of the stall and finish it before moving on. Their Original Mango Smoothie comes in two different sizes: Regular (RM10/~S$3.40) and Large (RM18/~S$6.10). I watched as the staff blended everything up, and cautiously assembled our drink. 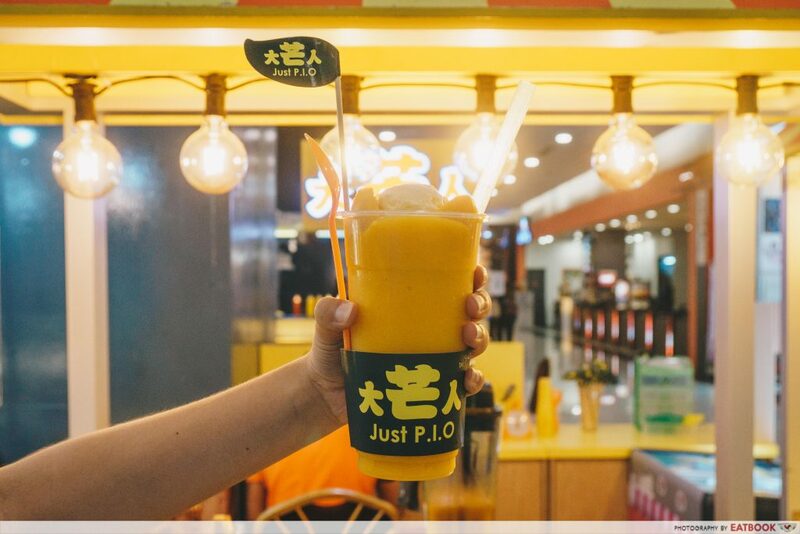 He added a dollop of vanilla ice-cream, which made the super gao mango smoothie even creamier. The generous chunks of mangoes also earned them brownie points! They have a yogurt version at RM12 (~S$4.10) too. 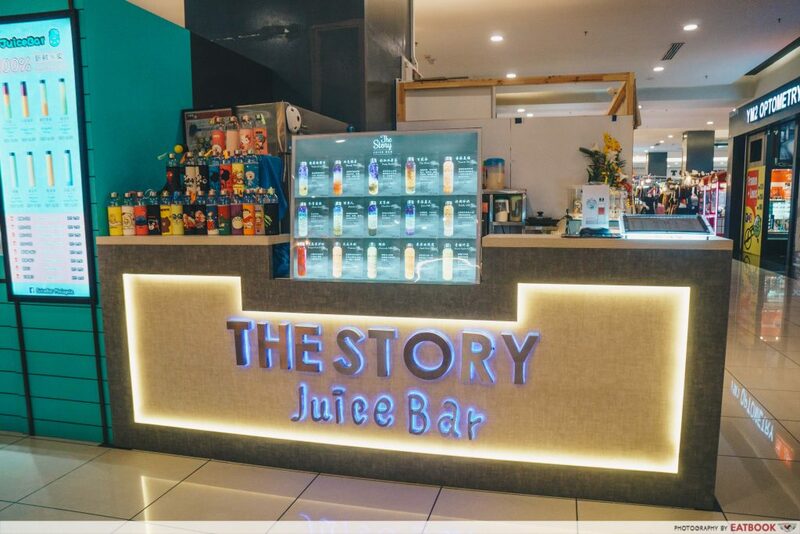 Diagonally across Just P.I.O stands The Story Juice Bar, serving juices and milk tea. The aesthetic menu got me excited and I couldn’t help but buy one, so that I have something refreshing with me as I walk around the mall. I felt a bubbling pit of happiness in me when I got my hands on their Bloody Diamond (RM12.50/~S$4.25). The layers of different fresh juices were a sight to behold. It was, however, so sour that my face scrunched up when I had my first sip – must be the passion fruit. But the sweet aftertaste had me going back for seconds. 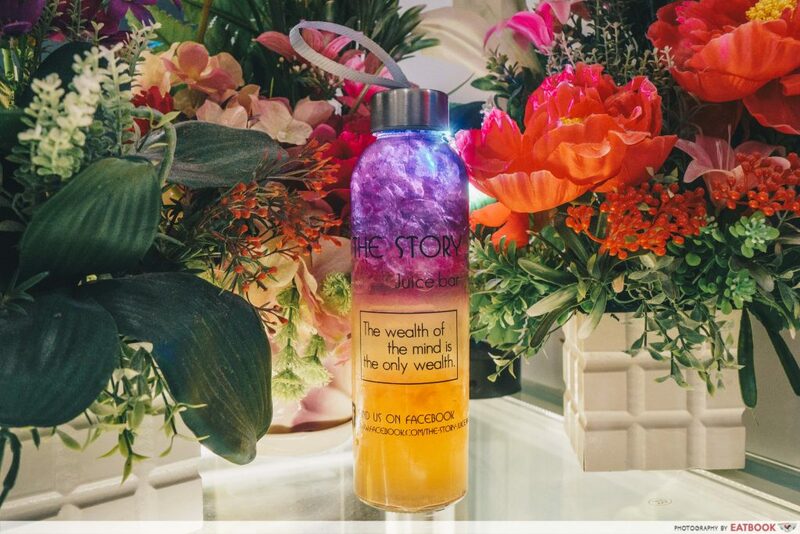 Spice up your ‘gram game with this super chio drink that would make your friends wish they could have it! Thought these two urns are for decoration? They are actually used to simmer the famous herbal soup that You Kee XO Restaurant sells. 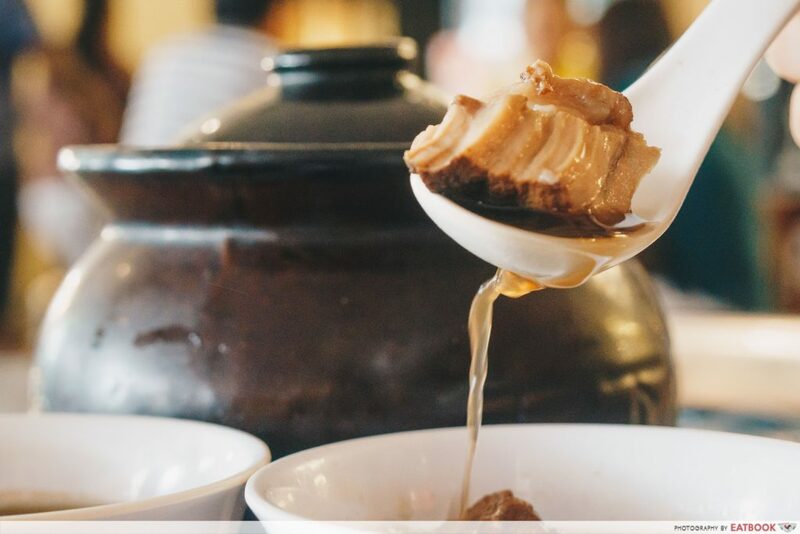 Besides their herbal soup, You Kee XO Restaurant also serves roasted meat that many rave about. 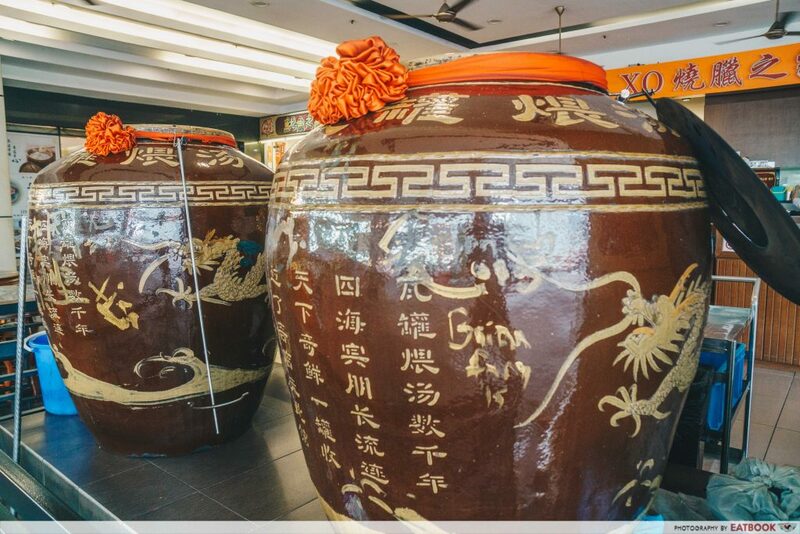 It was quite an experience watching the staff members reach into the urn with a rod to get my Tonic Soup (RM18.80/~S$6.40). It may not look like much, but after having my first mouthful, I was immediately reminded of the kind of soup my grandma would make when I’m sick. The soup is left to simmer under constant charcoal fire, which brings out the flavours of the herbs and meat used. 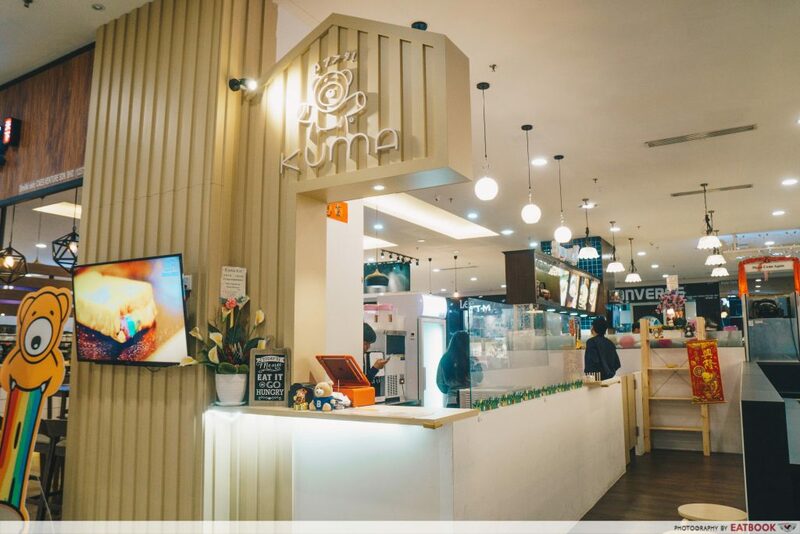 The minimalist design of Kuma may fail to catch your eye, but the video of people eating their rainbow toast playing on the screen may just do the trick. Again, there are no seats here, so you’d just have to walk around eating. 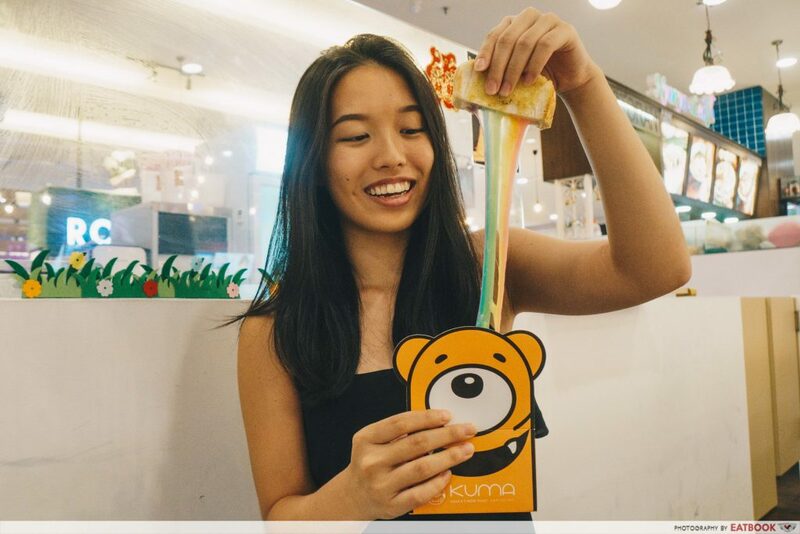 Sold at RM13.90 (~S$4.80), their Rainbow Cheese Toast uses natural colouring to tint the cheese, which makes for a ‘gram worthy #cheesepull shot! In contrast to the savoury cheese, the crispy toast was buttery and slightly sweet. To top it off, the toast came in a cute packaging that the young and young at heart will love. 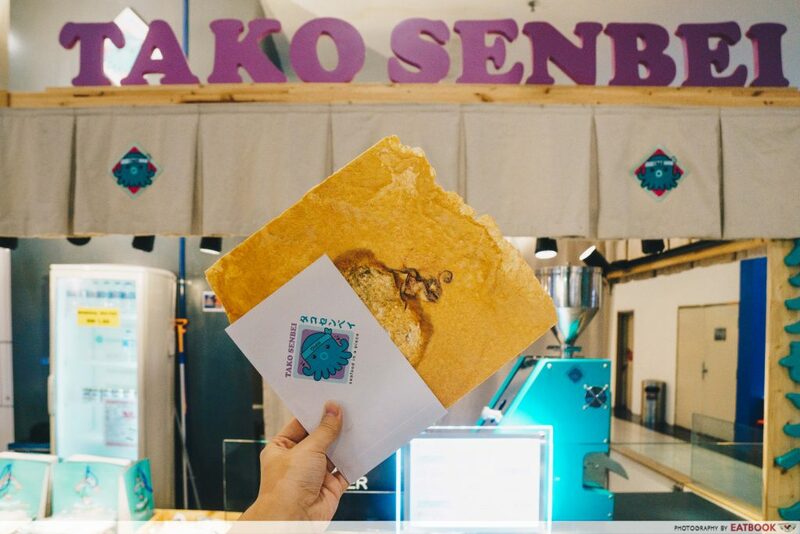 Tako Senbei shouldn’t be difficult to spot as it is one of the bigger food stalls, taking up the space of two stalls. If you don’t know which flavours to get, fret not as they provide samples for you to nibble on before deciding. I tried all the different flavours and settled for the Octopus Cracker (RM9.90/~S$3.40). The octopus adds umami to the crispy cracker made of rice flour. While it may look simple, this was so addictive; I couldn’t stop putting piece after piece in my mouth. It tasted a little like the prawn crackers I used to eat when I was a kid. 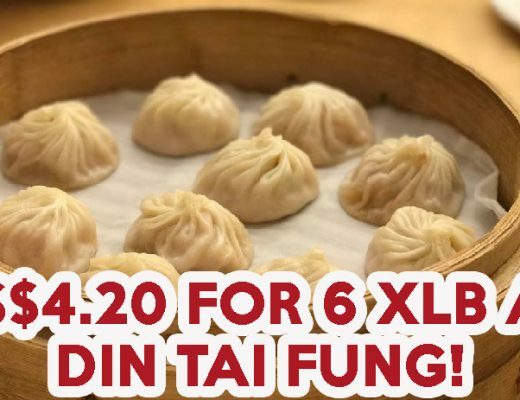 Other flavours include Prawn (RM12.90/~S$4.40) and Scallop (RM12.90/~S$4.40). 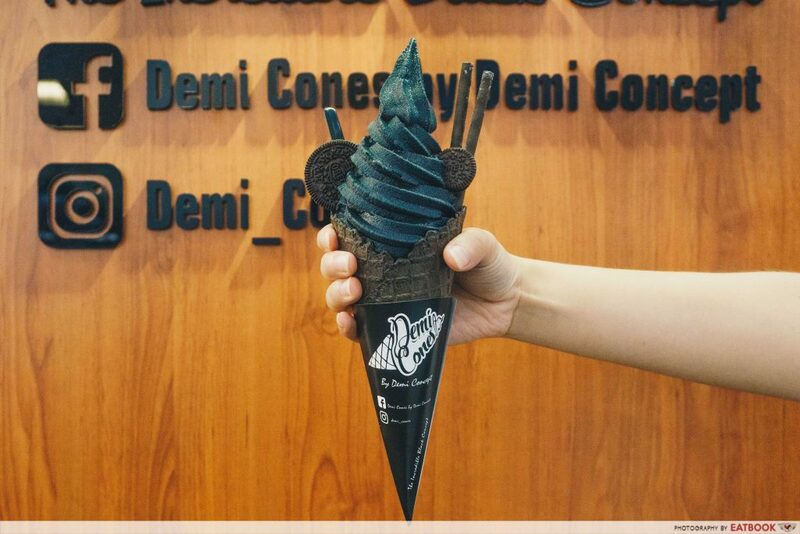 Demi Cones by Demi Concept is finally not a flight away anymore. This popular soft serve in BKK can now be found just across the border in KSL City! There are a few counter seats available for people who wish to sit and enjoy their ice-cream. After I ordered, a staff member was quick to prepare my Demi Charcoal Soft Serve Cone (RM14.90/~S$5.10). Though the ice-cream tasted more like frozen yogurt, it was still a good dessert that wasn’t cloying or jelak. The cereal at the bottom of the cone absorbed the melted soft serve, yet still held a crunch. 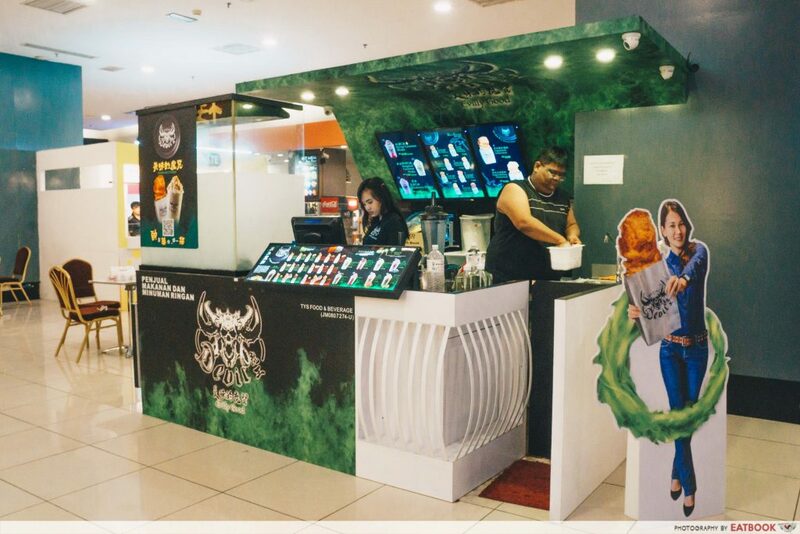 Other flavours include matcha and mango; you can even have a double swirl and try charcoal with something else. The soft serve melts really fast, so be sure to take your photos quickly! 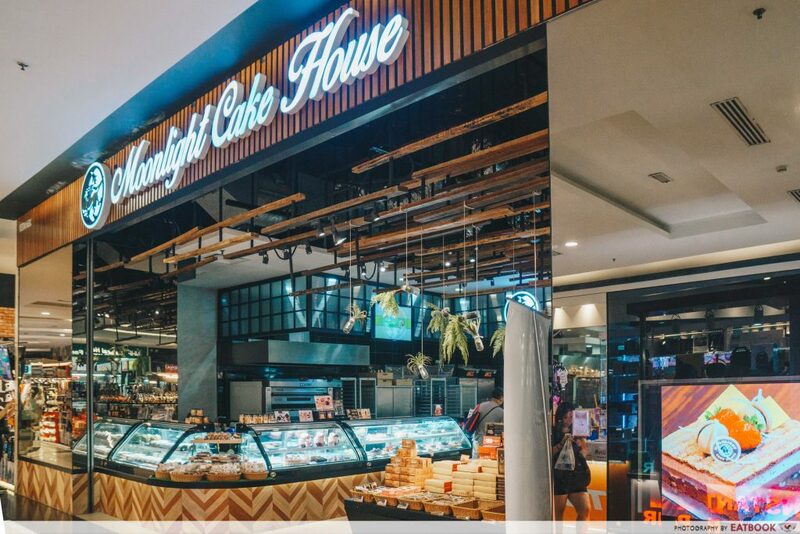 Ending off with a bang, we headed down to Moonlight Cake House for their unique Fresh Cream 3D Durian Cake (RM108.90/~S$37). I could smell the aroma of fresh bakes way before I actually saw the bakery itself. Besides the durian cake, there is also a huge variety of goodies, ranging from cakes and cookies to buns. 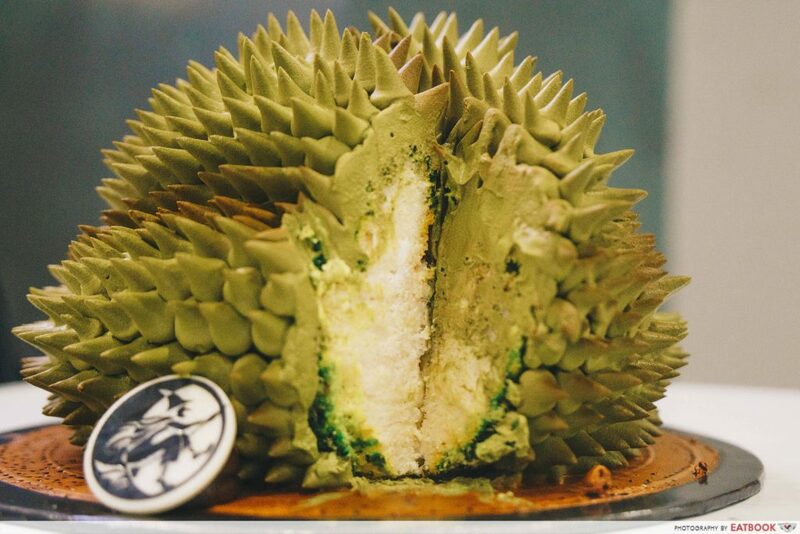 When I laid my eyes on the durian cake, I was in awe of how it looked. A touch of brown on the green cream added depth to the durian “shell”. Cutting into the cake, I was slightly disappointed to see that it was just plain ol’ vanilla sponge inside. But I quickly learnt to not judge a book by its cover after having my first bite. In between layers of airy vanilla sponge, you’d find cream mixed with Mao Shan Wang flesh. The bittersweet cream is also used to create the spikes – it is the true star of the show! Take a day off and treat yourself to some affordable and delicious food just across the border. Let us know if you know of more food places to check out at KSL City!